The King’s Grove is the classic place for a picnic in Amager. 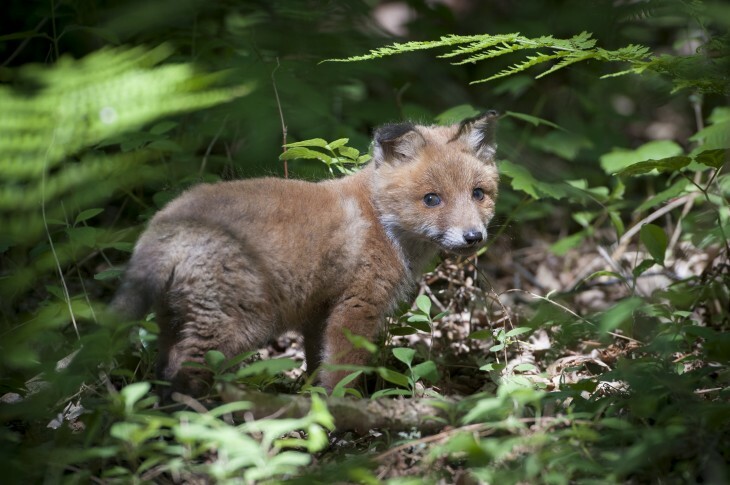 On an early summer morning, you might surprise a fox cub venturing forth for the first time. Or if you visit late on a warm summer’s night, you’ll see the insects swarm. Many of them are rare, some so rare that this is the only place in Denmark they are found. Much of Amager’s vast wilderness is unfamiliar to people from the island and Copenhagen, but the King’s Grove has been a popular spot for so long that it featured in an 1848 operetta. The ambience among the many ageing trees is different to that on the open commons, where forests are only now beginning to gain a foothold. The King’s Grove is what many would call real forest. The birdlife in the Grove is varied, with over 300 species. During the migration season, bird watchers flock to Amager from all over Copenhagen. There is a bird-watching tower in the southern part of the Grove – with any luck, you’ll spot cranes and large birds of prey in the air. Not to mention the occasional jumbo jet, as the airport is close by. If you like pheasants, send a kind thought to these woods, as this is where the colourful birds first bred successfully in Denmark. Most of the Danish pheasant population can be traced to the breeding stock brought here from Asia in the 1800s by Master of the Royal Hunt Baron Løvenskjold. Today the King’s Grove is a favourite destination for riders, joggers, nature-lovers and, in particular, people interested in insects. It is also a good place to pick berries, herbs and mushrooms, as well as wild garlic in the spring – just follow the scent. The King’s Grove is also the metropolitan area’s only west-facing beach. Kite-surfers are particularly fond of the south-west point – on a good day, with the wind in the right direction, they gather in their hundreds. People have lived in the area since ancient times but we have Frederik VI to thank for the current forest – and it was he who named it in 1830. However, much of the real credit must go to Privy Councillor Jonas Collin, who persuaded farmers on Amager to plant trees here. They were needed for firewood and timber, and the original forest had all but disappeared a century earlier during the Swedish wars, which destroyed much of the woodland in Denmark. There are several memorials to Collin in the forest, and he has a street named after him. The Grove is still growing, and is now part of the new Nature Park Amager, which will link Amager’s stunning natural areas even more closely together. Deer and foxes live here, but there are no squirrels or badgers. This is because Amager is an island, and not all mammals like to cross the water. The King’s Grove consists mainly of oak trees, which create a much lighter forest than the more common Danish beech. Oak leaves allow light to reach the forest floor, so more plants grow in an oak forest than a beech forest. Some unusual places here have white flowering plants in early summer, including hawthorn, cherry plum, sloe and elder. Several rare plants thrive in the forest, including orchids, and the insect and bird life is unusually varied. Restaurant Kongelundskroen is in the area. Plenty of places for picnics or to cook over an open fire.